Former Crane Bank head office on Kampala Road. The bank has come out to challenge Bank of Uganda’s decision to sell without taking interests of shareholders into question. 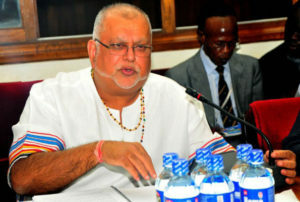 The January 25, 2017 sale agreement was signed by BoU Governor Tumusiime Mutebile and Mr Juma Kisaame, the managing director of DFCU, without considering the interests of major shareholders of Crane Bank Ltd.
And now PML Daily has learnt that the shareholders of the defunct bank, who include the Sudhir Ruparelia family, White Sapphire, Jitendra Sanghani and Tom Mugenga, have vowed to drag BoU to court to challenge the agreement, which they say is against the Financial Institutions Act. 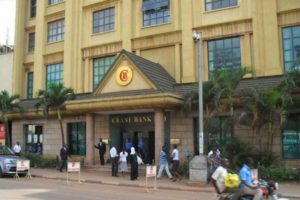 “The receiver (BOU) has negotiated and concluded an arrangement in the interests of and for the benefit of the depositors and creditors of Crane Bank Limited,” the document reads in part. The shareholders also accuse BoU of undervaluing Crane Bank’s assets at Shs10 billion at the time of takeover despite DFCU Bank later valuing them at Shs47 billion. “The agreement does not itemise the list of assets acquired (save for the leases). This is very strange given that CBL’s total assets were worth Shs1.3 trillion at the time of BoU’s takeover of the Bank, but the listed leases in the agreement were given an undervalued book value of only Shs10 billion by BoU’s accountants, PWC,” a stakeholders’ protest document seen by this website reads in part. Recently, Meera Investments dragged Dfcu Bank to the Land Division of the High Court, seeking to reclaim its 46 branches which it says were acquired illegally following the dissolution of Crane Bank. The closure of Crane Bank saw Dfcu bank become the third biggest bank after acquiring 46 branches from the financial institution. Meera, in its law suit, claims that at the time BoU took over the management of then Crane Bank in October 2016 before its eventual sell to DFCU, it was the leaseholder of the suit properties and paying $6,000 every beginning of the year. Meera adds that transferring the same properties to DFCU Bank without their prior written consent is illegal.